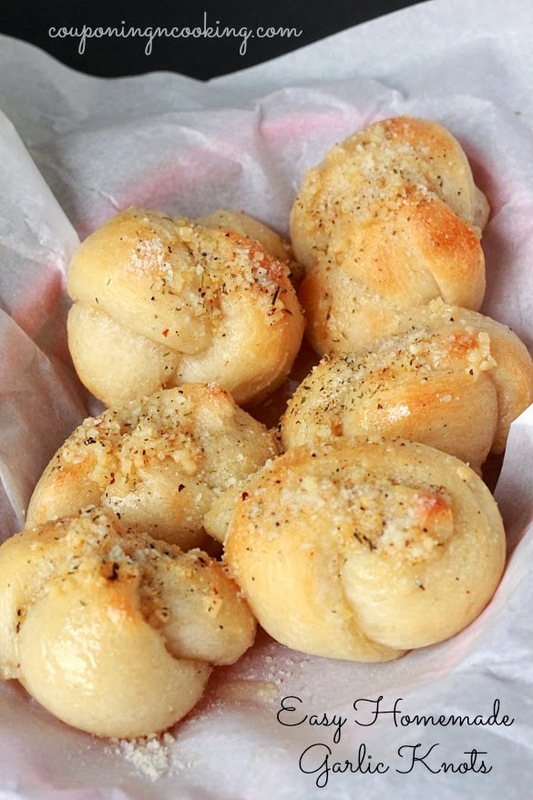 I would consider myself a garlic knot connoisseur. 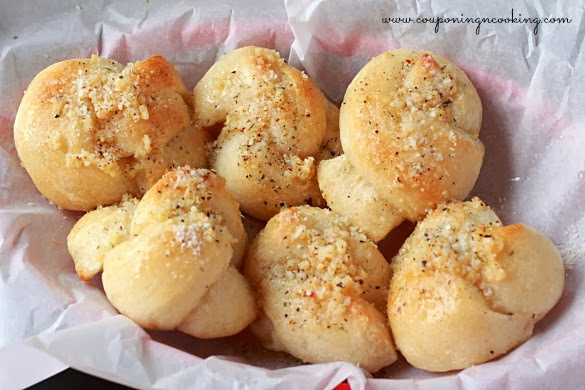 At least 50% of my motivation in going out to get pizza would have to be the fact that I get to order garlic knots before hand. Justin and I have quite a few places where we enjoy the knots but our favorite place by far has to be a little pizza place in town called Pizzoodles. 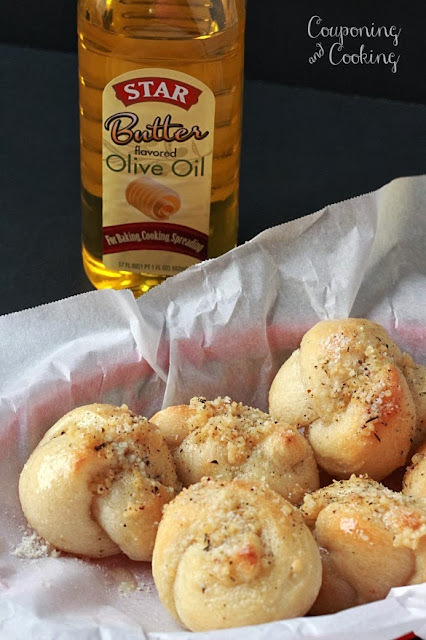 Unlike most garlic knots, theirs are not drowned in butter (not that there is anything wrong with that...) but they are coated in an olive oil that has a rich, buttery quality. I have tried to recreate those knots many times but I can never get them to taste just right. Until now. 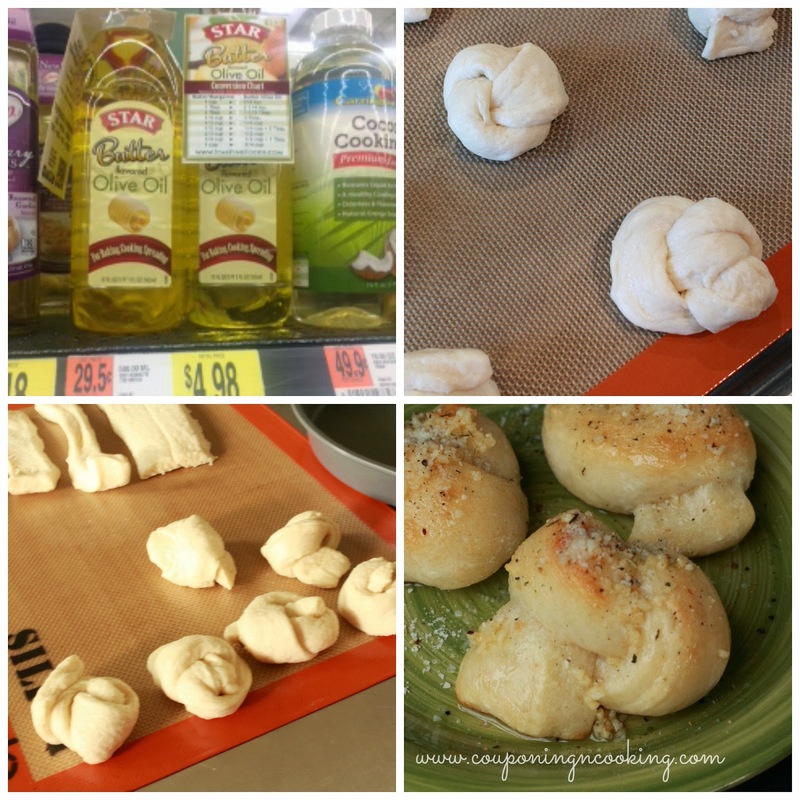 These garlic knots are so easy to make, you will wonder why you ever went out for them before. Made using refrigerated bread stick dough, all you have to do is tie them, bake them and drench them in Star Butter Flavored Olive Oil sauteed with garlic. The oil gave them the buttery taste that I love without the heaviness of melted butter. 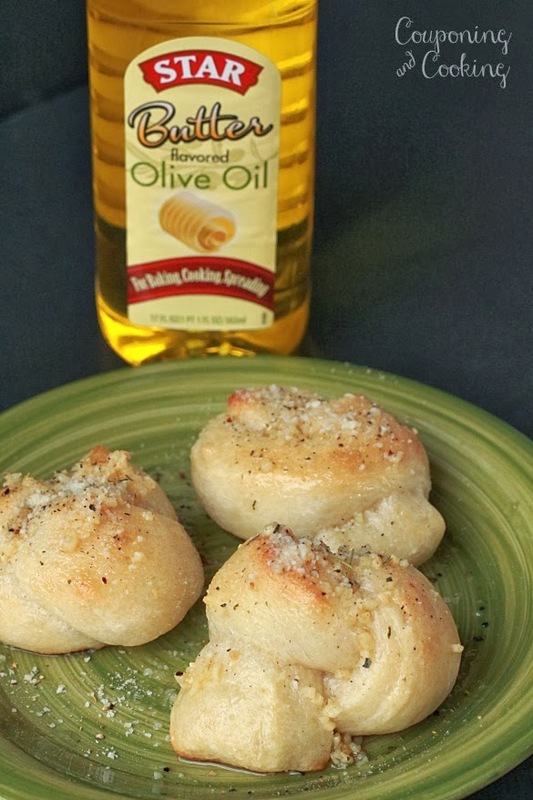 And since Start Butter Oil has no cholesterol and no trans fats, I can feel a little bit better about pairing these garlic knots with my salad for dinner. 1.) Unroll bread stick dough and tie each piece of dough into a small knot. 2.) Bake at 375 degrees for 10-15 minutes or until fully baked. 3.) In a small sauce pan, saute the minced garlic in the oil until garlic is slightly browned. 4.) 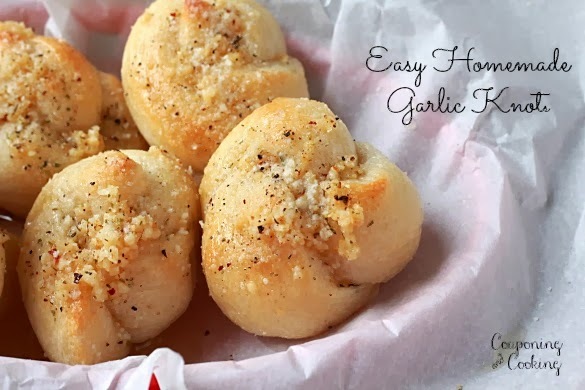 Top hot knots with the garlic and oil mixture and sprinkle on Italian seasoning and Parmesan Cheese to your preference. Want to try Star Butter Oil for yourself? I found mine at Walmart but you can also enter to win a bottle for FREE by liking Star Fine Food's Facebook page. If you are heading to the store to grab some, be sure to print out a $1 off coupon.